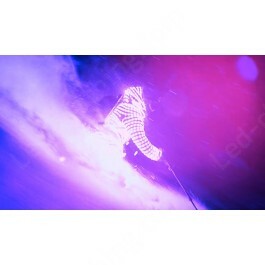 Waterproof Snowboard \ Ski LED costume | LED Clothing Studio Inc. The wintery night air is pierced by the twinkling of the stars … and the lights of LED snow costume! 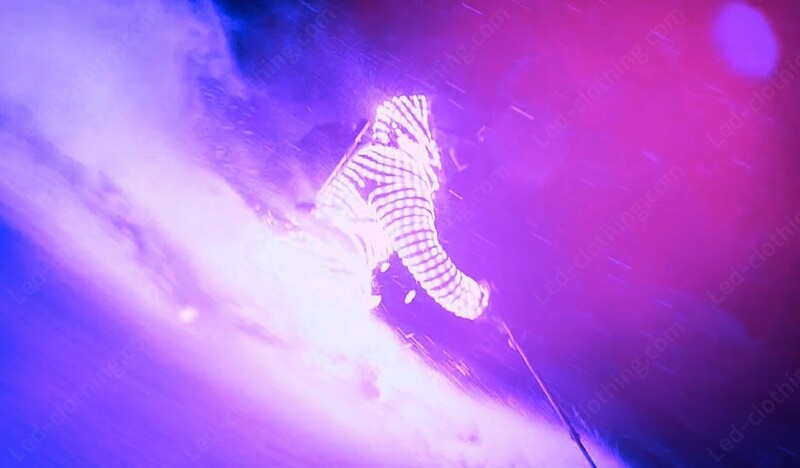 With this LED light costume, you can give an unforgettable night ski show! 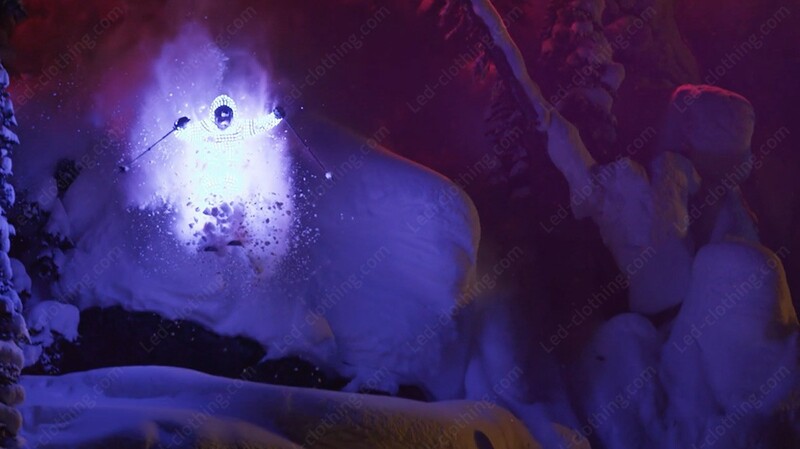 Whether you want to ski or snowboard, use LED clothing to revolutionize your sport performance! 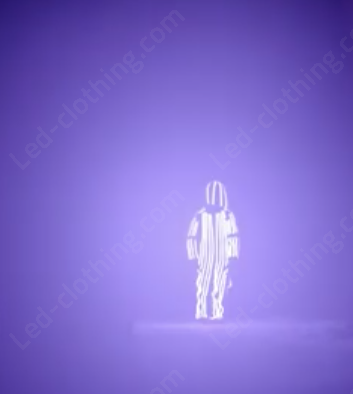 Our LED snowboard suit can be customized to fit your body like a glove and show any pattern or logo you want , maximizing your aerodynamics and improving your visibility! 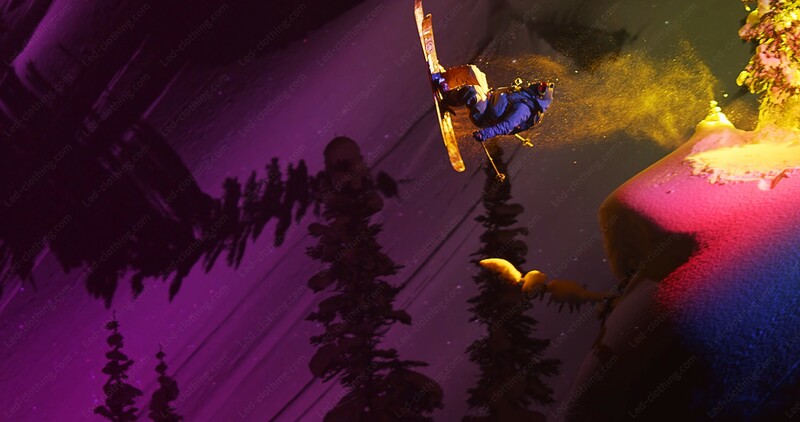 Night skiing and snowboard shows attract a big crowd -- make your performance that much better with luminous clothing! 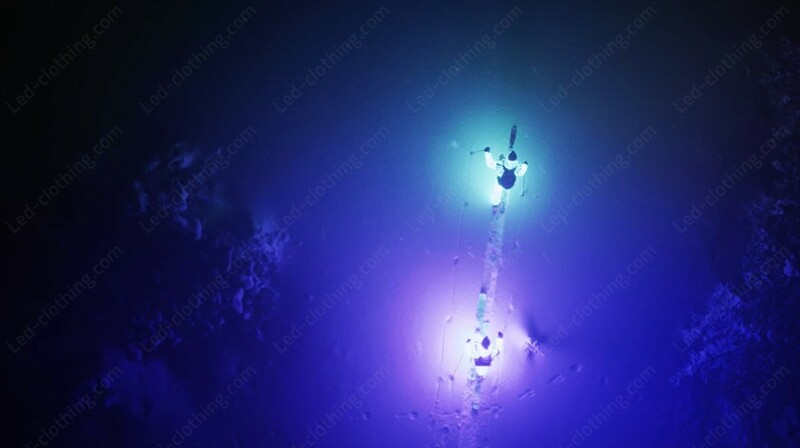 With this spectacular waterproof LED suit, you can create the best night ride of the winter!